At the end of November, from the 27th to the 29th, I took part in the third edition of the European .NEXTconf, the event organized by Nutanix in Europe to present its products and innovations. This year I participated for the fourth time at the European edition of VMworl d, the event organized by VMware to present its products and innovations, very useful also to understand the market trend and the evolution of new technologies. Another great opportunity offered by this event is the networking, given the great number of companies present at the booths and the many participants from all over Europe. But how test this new infrastructures? Can we utilize the principle tool for testing storage, IOmeter, for test this new type of infrastructures too? And how eventually verify the performance in totally new environments without long and complex installations? The vExpert cloud program it’s a subprogram of the vExpert program and follow those already activated for VSAN and NSX and recognise not the specific knowledge,but the contribution that the person give to the community through its personal commitment in the specific matter. This will be a further stimulus for my commitment for the community! In this second post on VMworld 2017 I want talk you about my networking activity and my activity as leader of italian VMUG. This year too I had the pleasure to participate at the VMworld in his european date. THE VMworld 2017 EU is coming…. Quest’anno in una data anomala,molto vicino all’edizione statunitense,so I think that we will haven’t new announcements. I’m proud for this award and I’m proud to be a part of the italian VMUG, entirely formed by vExpert! You can find the complete list of italian vExpert in this post of Andrea Mauro’s blog, a founder and a leader of italian VMUG. The nomination at vExpert isn’t only an honor,but the spur at continue and do more for the community. The commitment of everyone of us it’s fundamental for the growing of the community and for promote the sharing of knowledge and opinions. As VMUGIT we are preparing and we need the help of everyone of you that want to engage in person. we will give you early some news about ours next initiatives. I’m proud to announce that I was nominate Nutanix Techology Champion for the 2017. Like other community program, NTC rewards people that share their knowledges and experiences. 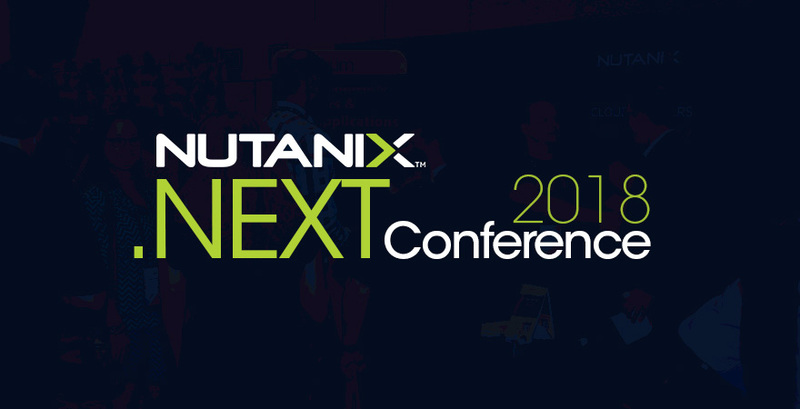 I follow the evolution of Nutanix since their first appearance in Italy,because I consider the great innovation of their products,so I’m really happy to be considered a champion of this innovative company. From the 8 to 10 of November I partecipated to nextconf EMEA, the european event where nutanix presented the news about about their products but primarily the evolution of their vision passing from a single product to a full ecosystem of virtualization able to respond globally to requests and to needs of the market.